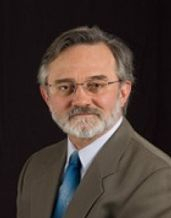 Dr. David M. Ryan, D.O. Dr. Ryan received his Doctor of Osteopathy at the College of Osteopathic Medicine of the Pacific in Pomona, Ca. in 1988. He has practiced Family Practice care since 1989, and has been in Washington since 1999. He has been a member of the American Osteopathic Association since 1984 and the American College of Family Practitioners since 1989. Dr. Ryan has been recognized as providing quality healthcare by Premera Blue Cross and United Healthcare. He specializes in lipidology (care for diabetic and pre-diabetic patients) and mental health. Amanda has been with us since April 2013. She rooms patients for Dr. Ryan. She also does triage, injections, and copies medical records. Samantha joined our team in September 2018. She rooms for Dr. Ryan, does triage, relays test results, and completes medication prior authorizations. Sierra has been with us since 2015 and is now part time. She helps with medical assistant duties and also does CIMT scans. Rena has been with us since 2006. She helps out with CIMT scans. Rebecca is our billing specialist. She has worked here since 2006. She coordinates patient care with their insurance companies and helps patients set up payment plans if needed. She has worked in the medical field for 15 years. She received her Bachelor's degree in Accounting and Information Systems from WSU in 2009. Jeff had been with us for a long time as part time and is now here full time. Some of his duties include being the assistant manager, human resources, ensuring that the office is running smoothly, and being custodian of medical records. Lexie has been with us for many years. If you need a letter written she's the one to help you out. She also does our recalls (i.e. if you are due for labs, a physical exam, etc.). If you have any issues with diagnosis codes for your lab billing, she can help you out. Other lab billing inquiries will need to be directed to the lab. In her off time she likes to volunteer at the local animal shelter. Kiara joined our team in 2018. She does our referrals and radiology prior authorizations. She also enters patient insurance information. She has worked in the medical field since 2015. Heather joined our team in 2018. She schedules appointments and checks patients in and out. She has worked in the medical field for many years. Clari has been with us for many years and has been with us from almost the beginning. Clari takes care of any bills owed by the office and is also the custodian of our sample medications.